This is the main city of the continent. Think Waterdeep or Baldur’s Gate. A Major port of trade, it’s both accessable by sea and by river. The most interesting feature of the city, and where it gets it’s name from, is the tip of the mountain range that shields the city from the north. It wraps around the northern half of the city and has an unusual protrusion that extends out over the city. 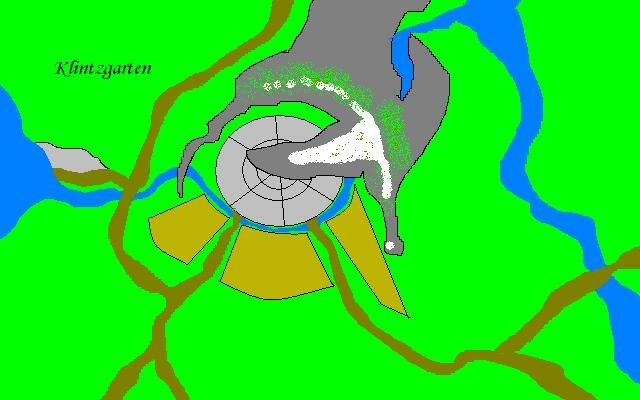 The semi-circle of mountain is vaguely shaped like a dragon, with one wing outstretched over the city, and another that plunges down into the lake on the other side of the mountain range, as well as a head and a tail. The range is peppered with admantium throughout most of the rock, explaining how it is possible for thus unusual rock formation to exist, but by edict of the ruling class, mining the rock for admaintium is forbidden, as it is feared that if too much was taken, it would cause the rock to weaken to the point where it would fall on the city. Thus, although there is plenty of admantium available in this city, anybody caught using or wearing the metal is severely looked down upon. This, in turn, makes Warforged greatly hated, as many people can’t tell the difference between the living metal and the lifeblood of the city. The city is ruled by a group of merchants. The ruling council is by invitation only. Traditionally, when a merchant reaches the point where his wealth is such that he could begin causing changes within the city, an invitation is extended to them to join the ruling council. Status in the council is primarily by wealth, but it is still a surprisingly democratic arrangement. The head of the council is called a Justice, and the others are called Triants. Currenly there are approximately 40 Triants in the Council, but the number changes as fortunes wax and wane. This mode of government is surprisingly stable and benevolent, but is often criticized by the people as being too greedy (a claim that is not really true, for the most part, the Triants are satisfied with their wealth and tend to be fairly philanthropic. There are other places to go for shady dealings if needed). The guard (and militia) of Klinzgarten is made up of house guards. The required levels of standing army are dictated by the wealth of a house. In general, these guards get along well, but only the Justice’s guard stands above the others, otherwise, they maintain differing areas of the city, and don’t interact for the most part. Each house maintains a guard of between 10 to 60 or 70 men, depending on the size of the house. Traditionally, the Justice’s guard is an even 100, but this is not a law, just tradition. Total population of Klinzgarten is about 12,000, with most of the people who live there being tradesmen for the various houses. Another 1000 or so farm the outlying area to the south for the city’s produce. Klintzgarten (often abbreviated to “Klintz” or sometimes referred to as Wingtown) is one of those places where you can get just about anything you want. Most of the commerce is in textiles, commodities and foodstuffs, but there are still plenty of places where you can get armor, weapons, adventuring gear, and even a few shops for magical items, but when it comes to the latter, most of the magical gear is held by the houses, and although they will trade for them, they don’t advertise what they have, learning what a house has in the way of magical items can be an adventure it itself. Crime is not very prevalent in Wingtown, as the Council works hard to make sure that fair trade is possible, it’s their life’s blood after all. Klintz’s reputation is that if you know your stuff, it’s a great place to bargain, but although someone might overprice something, it’s unlikely that you will get out and out cheated.